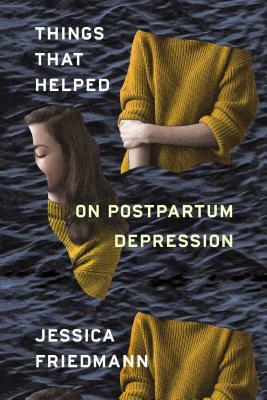 Things That Helped is a memoir in essays, detailing the Australian writer Jessica Friedmann’s recovery from postpartum depression. In each essay she focuses on a separate totemic object—from pho red lips to the musician Anohni—to tell a story that is both deeply personal and culturally resonant. Drawing on critical theory, popular culture, and her own experience, Friedmann’s wide-ranging essays touch on class, race, gender, and sexuality, as well as motherhood, creativity, and mental illness. Occasionally confrontational, but always powerfully moving and beautifully observed, Things That Helped charts her return into the world: a slow and complex process of reassembling what depression fractured, and sometimes broke.